For those who make the time and dedication, this could be your career. A lot of newbies imagine what it would be like to bet on sports full time as a career. It doesn’t take long though for reality to set in. If you have actually been giving it a serious shot, you probably already have figured out just how steep a challenge it really is. Why is sports betting so demanding? For one thing, you need a large bankroll, and for another, you need a working strategy. You need the skills and flexibility to adapt that strategy continuously. You also need the emotional stability to tolerate losing nearly half your bets without letting your doubts and fears overcome you. In short, not only do you need to develop an edge, but you need to be able to persevere and profit with a very narrow edge. Most people will never succeed at such a feat—but a few will. Those who do have weathered the drawbacks to join the elite few who can truly call themselves sharps. What makes all that struggle worth it? Well, sports betting is a pretty awesome career! Let’s take a look at a few of the rewards which await you if you make it through the gauntlet. Watching sports is part of your job. 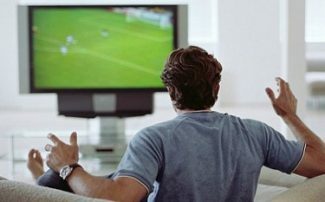 For a lot of us, watching sports is how we unwind. A Sunday football game is our reward for making it through a long week at the office. If you become a professional bettor however, you can actually make money watching sports. That means the days of your spouse stealing the remote from you and changing the channel are behind you. You need to watch those games to pay the bills! You get to use something you are already passionate about to make money. For a lot of fans, passion for a sport already goes far beyond simply watching matches. Chances are good you already are an expert on your favorite sport. You may have in-depth knowledge of players, statistics, strategies, and more. When you bet on sports professionally, you make that knowledge work for you. You also give yourself an opportunity to go even deeper into the details which fascinate you. You engage in a whole new way with what you enjoy. Perhaps your issue isn’t your spouse taking the remote from you on Sundays and interrupting the game. Maybe it’s that boss who sends you home with extra work for the weekend. If you ever are able to turn sports betting into a full time career, you will be through with taking orders, at least from other people. You will have to master the art of being your own boss, but at least it is all on your own terms. You get to make the important decisions about your life, and you get to reap all of the profits. To some degree, your work hours may be determined for you at least in part by the scheduling for the different matches you might be betting on. But much of the business of sports betting can be conducted at any time of the day or night. You can research, watch old games, and develop new strategies whenever you want. To some degree, you also can determine for yourself how much or how little you work. You’ll have to do the minimum to make enough of a profit to get by. Beyond that, you decide whether you want to push yourself harder to boost your profits more. Being able to set your own hours isn’t just convenient—it has positive ramifications for your health and well-being. You no longer will be forced to go to bed unnaturally early or wake up before you have had enough sleep. Each day, you will have more energy than you likely did at a 9-5 job, and you will also have an easier time concentrating on your work. You work at home or anywhere else you choose. As a professional punter, you choose not only when you work, but also where. You no longer have to go to an office. Instead, you can simply work from your home. That means no more wasted hours stuck in traffic and no more wasted money on gas. Want to work somewhere else? You have a job which you can bring with you anywhere. If you want to take a vacation overseas for a few weeks, you can continue betting on sports at your destination. Just need to head downtown for the day, but don’t want to miss out on the action? 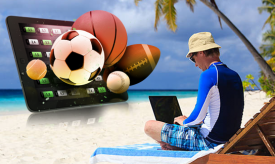 You can log into your sports betting account anywhere you have a wi-fi connection. Keep in mind that public networks are not secure. Anyone might be able to see your password. For that reason, you should opt for two-factor authentication when Sportsbooks online make it available to you. Looking to jump start your career as a Professional Sports Bettor? One great place to start is over at BetDSI Sportsbook, offering wagers on just about anything you can think of. The skills you develop will serve you in all areas of your life. This can be said about pretty much any job you work in theory. But there is no denying that the skills involved with becoming a professional sports bettor are particularly versatile. Once you have learned how to manage your wagers you’ll find that you’re able to budget other areas more effectively. This skill can pay off in many ways. Ultimately, it may even help you save more money toward growing your sports betting account and set aside more profits for your retirement. It may seem strange to refer to something so specific as a life skill, but being able to apply a strategy in a systematic, methodical way certainly is one. Outside of sports betting, this same skill may help you to succeed with everything from investing to taking care of your health. Methodical thinking helps you to identify weaknesses, prevent mistakes, and optimize techniques which work to achieve success. If you want to be successful at sports betting, you cannot lean on your emotions to guide you. Instead, decisions have to be made logically. Being able to think on a higher plane can prevent you from making emotionally driven mistakes in other areas of your life. This can be helpful with relationships, health and financial decisions, and more. Using a Betting Method in a methodical way not only teaches you how to be systematic but also helps you to develop discipline. This can be difficult for some punters, but once achieved you’ll know that you are capable of following any rules you set for yourself. It takes years of hard work to become a professional bettor, and it takes commitment to remain successful. The drive to keep going may translate to greater dedication with other tasks you take on as well. There are a number of related fields where you can potentially make money using the skills you develop as a sports bettor. Some examples are casino games and investing. You’ll probably find that these skills also serve you well in fields which share little in common with sports betting. There is no limit to the amount of money you can ultimately make. Let’s say that right now you are working at a day job where you pull in around $40,000 a year. That is a pretty good salary, but it doesn’t stretch nearly as far as it did twenty or thirty years ago. The amount of growth you can achieve financially with a salary like that is limited. You might be able to set aside a little bit each month, but you will be lucky to even retire, especially if you have a family to take care of. There are still some fields where routine pay raises are common, but there are many more professions where pay raises have become nonexistent. If you are making $40,000 a year today, you will probably still be making that in ten years or twenty. And by then, you will have inflation to deal with. With sports betting, you get to give yourself pay raises through hard work and profit. You probably will not make much during your first few years, but as your account grows, so too will your profits on winning bets. Eventually, with that continual growth, you may be making far more each year with sports betting than you are right now with your day job. That could mean that you will actually be able to retire, and you may even be able to do so with a higher quality of life than you have today. People will want to talk to you at cocktail parties. Wait. You do what for a living?! Perhaps you already have a job which most people think of as fascinating, but let’s face it, most of us work in pretty banal fields. Even if we enjoy talking shop with our colleagues, laymen don’t necessarily want to hear about what we do at our day jobs. If you are that person who is overlooked at cocktail parties, you can count on being the focus of attention if revealed that you are a professional sports bettor. People are fascinated by those rare individuals who are able to bet for a living. Perhaps it is because it is something that so many people fantasize about, but so few achieve. Or maybe it is just that it takes a smart, daring person to succeed in a field where luck plays such a big role and others know that. Regardless, being a professional punter lends you an air of sophistication, and may help you to feel more confident in social situations. You get to live with a deep sense of accomplishment. Even though becoming a professional bettor is hard work, there is an upshot to all that struggle. Once you have actually turned your dream into a reality, you will feel like you are capable of anything. You will boast bragging rights which few will ever share. Waking up each morning realizing that this is who you are can be an amazing feeling. Sports betting is a career for life. Finally, pay raises are not the only thing which many employees in regular jobs can no longer look forward to. Job security is another. 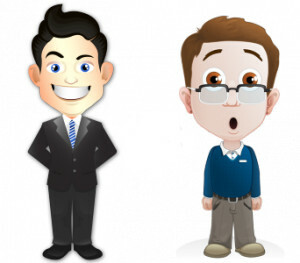 It is relatively rare now for people to work twenty or thirty years in the same job at the same company. Many may not even manage to stay in the same profession. Hopping from job to job has become the norm. When you strike out on your own, you may feel like you are on an uncertain road. To a large degree, that is true. There are many risks involved with entrepreneurship. You never know when your sports betting system might abruptly stop producing the results you expect. You will have to adapt when that happens. In that sense, sports betting may offer you greater security than the 9-5 job you have now. This is a career which you could potentially still be in a few decades from now. You may be using a different strategy by then, or your system may have evolved from what it is now, but you will still be able to make money from the same pursuit. There is no denying that sports betting is a tough field to break into. But you shouldn’t let that discourage you. If you are successful, you will have one of the most exciting jobs in the world. It is one where you call the shots and make the rules, and reach for greater and greater rewards as you accumulate experience and build up your bankroll. In the long run, you will be thrilled that you decided to stick with it and make it happen.